With changing times technology has come a long way. I’m sure you have been in a situation where your hands are full of germs or dough mixtures and you are trying to turn on the sink. 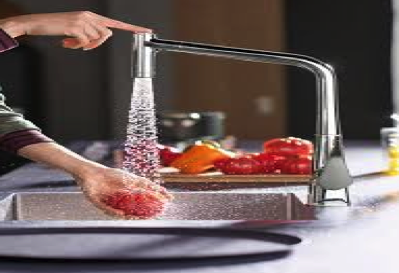 You don’t want to touch the faucet and spread those juices from chicken, or get filth all over your faucet so what you can do is add a gorgeous hands-free faucet. 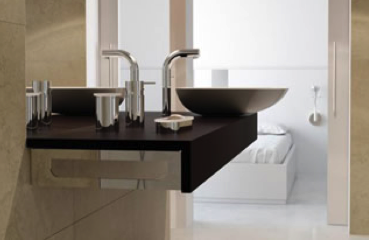 Plumbtile.com carries many different brands and options to elevate add style to the function of your kitchen or bathroom. Brizo – Artesso Smarttouch Pull-Down Prep Faucet is a beautiful affordable option for anyone looking to make simple upgrades to their kitchen in a couple of hours. Doing these small changes such as new faucets can really revamp an entire area and give the kitchen a new and luxurious feel. Not to mention just think about the kitchen when it comes to hands free options. The bathroom is the room you definitely want a hand- free faucet. Rohl carries a line of bathroom faucets that are also hands free; helping to cut down on the spreading of germs. The bathroom can acquire a lot of germs. Convenience and technology have combined to create a great germ-free hands-free environment for the homes instead of for just commercial use. This luxurious feature provides many options for your faucet including manual overrides, battery packs, no electrical work and dual faucets. Moen, Vola, Rohl and Hansgrohe are some of the manufacturers that Plumbtile carries who offer this new technology and design. These manufacturers offer the best technological advances and are top notch with their design. Changing out your faucet is a simple way to update your kitchen or bathroom. It is fairly simple to make these small changes which can change the aesthetic of your space. If you have any questions you can contact Plumbtile to speak with one of our experts.